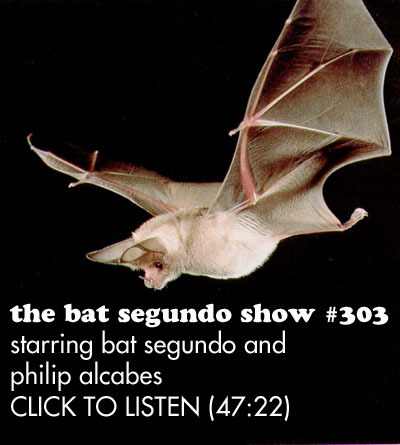 Philip Alcabes appeared on The Bat Segundo Show #303. Philip Alcabes is most recently the author of Dread. 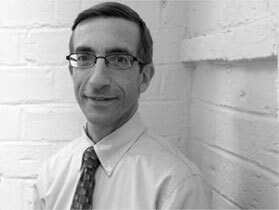 Condition of Mr. Segundo: Attempting to understand the certainty of certain dread, and the dread of dreadful certainty. Subjects Discussed: Overstating the three Ps (pandemic, pestilence, and plague), contending with a hypothetical situation involving a Norway rat eating your sandwich for lunch, the acceptable level of fear that is required in Western society, the media’s initial coverage in 1982 of AIDS as “the gay plague,” fear of social dissolution, epidemiology as a reasonable response to a disease outbreak, Jerry Falwell and Pat Buchanan, whether initial irrational fear is demagogic, germ theory, calls for healthy skepticism, the linguistic misuse of “tragedy,” being flexible with the word “epidemic,” swine flu and confirmed deaths, reconsidering hysterical value, recent cases of plague, the National Research Act of 1974, Harriet Washington’s Medical Apartheid, the Tuskegee syphilis study, the ethics of administering PolyHeme to unconscious patients in Chicago, contending with correlations between race and poverty, how a story about an epidemic becomes shaped around race, Nushawn Williams, parallels between painting Xs on houses infected with plague and prejudices in the 1980s against gay clubs (and calls to tattoo gay men), positive and negative liberty and how much the government is permitted to go in protecting us, the possibility of scientists being co-opted into political campaigns, the ethics of tweeting, and science at the behest of elasticity of terms. Correspondent: Reading this book, I got the sense that the three Ps — pandemic, pestilence, and what’s the other one? plague! — that we’re essentially overstating them. But I want to start off by offering a hypothetical scenario. If I’m sitting at a restaurant, and a Norway rat jumps onto the table and starts nibbling at my sandwich, I’m going to have some understandable concerns. So I guess the question is, if we are in a culture of needless dread about the three Ps, what is the amount of fear that is acceptable for you? Some general terms. Alcabes: So what is the amount of fear that is acceptable? Alcabes: Well, I accept any amount of fear. People feel the fear that they fear. But to answer your question about the rat, would I eat the sandwich? No. Would I think I’m going to die because I saw the rat? No. Is that what you’re getting at? Correspondent: It’s what I’m getting at. Alcabes: Would I think that the black death is about to start again? Also, no. And do I think that we’re too worried about pandemics, pestilence, and plague? Well, we’re how worried we are. What’s odd is that we’re as worried as we are, given that we know so much. In the 14th century, which is when plague came to Europe and became what we now know as the Black Death, people didn’t know much about that illness. They didn’t actually know that it was connected to rats. They didn’t know that it was spread by fleas jumping from rats to humans. They didn’t know that it was caused by a bacterium. They didn’t know exactly how to prevent it. They didn’t know, as we do now, how we can cure it. It can be cured now by common antibiotics. But given that we know so much now, why do we get so panicky? Why do we still think that we’re about to be consumed by some new black death? And that’s the more puzzling question. It’s really the question that launched my book. Correspondent: When the media initially covered AIDS in 1982, they referred to it as “the gay plague.” But one might argue that here we are twenty-seven years later and most people are not going to use the insensitive term “gay plague” to reference AIDS or HIV. And I’m wondering if you’re possibly being a little hard on people when some new development or some “epidemic” actually occurs. Because people are going to try and want to pinpoint it. They’re going to be frightened. They’re going to be scared. How do we transmute that initial impulse of fear that goes into atavistic territory into something that is more reasonable along the lines of what you’re suggesting? Since we have the knowledge, how do we deploy it among the general public so that they don’t freak out like this? Alcabes: You know, it would be unreasonable for me to say, “Don’t be afraid.” People are afraid. And, in fact, I think that one of the premises of my book is that we carry with us innate, inchoate dreads. And the innate ones are about death, at least from what the psychologists tell us. And there are inchoate ones — I think this is what you meant by “atavistic territory” — that have to do with a kind of ineffable dark realm of randomness where anything can happen. And I think some people have called that a fear of social disarray, of the dissolution of society. And I think that’s a way to put it. We’re afraid of whatever’s out there. And it’s not unreasonable to think that we’re going to stop being so afraid. I do think that it’s quite reasonable to do epidemiology on it. I was trained as an epidemiologist. It’s a reasonable response to collect data and try and make sense of a disease outbreak. Where I think we let ourselves go wrong, where we let ourselves harm our own society, is when we let our fears shape narrative, if you will, of disease outbreaks, in which somebody’s to blame. Somebody has crossed a line, imperiled the rest of us. And I think your example of the early days of AIDS is really well taken. Because that’s a great example of some people looking at AIDS as a kind of ratification of suspicions they had about what some people were doing that was “bad,” right? That people were suspicious that the sexual revolution of the ’60s was going too far or who had a specific fear about homosexuality allowed themselves to see AIDS as a validation of those anxieties.